Centre of sport activities for the town. Extension of current main town park. Engaging atmosphere of existing summer swimming pool built up in funcionalism style. People sport here, but also relax. Town landscape playground. Open landscape, airiness, light. 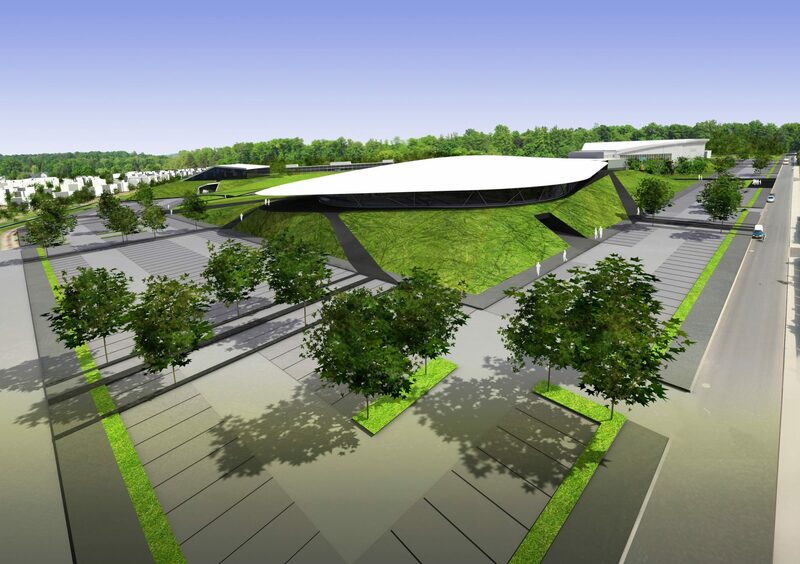 In the middle of the area there is a centre, a natural square, architectural landscape. Covered point in the middle of green slopes and houses on their tops. Buildings are elements of the ground, the ground is a part of the buildings. They are climaxes of ground motion. 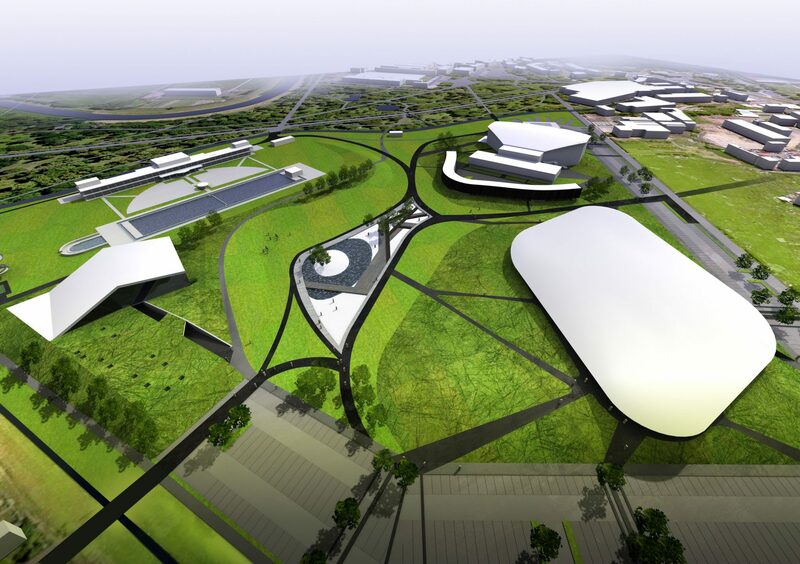 Swimming pool, ice hockey stadium, existing sports hall, new hotel and a training hall.